The Romans have long since departed, and Britain is steadily declining into ruin. But at least the wars that once ravaged the country have ceased. The Buried Giant begins as a couple, Axl and Beatrice, set off across a troubled land of mist and rain in the hope of finding a son they have not seen for years. They expect to face many hazards - some strange and other-worldly - but they cannot yet foresee how their journey will reveal to them dark and forgotten corners of their love for one another. 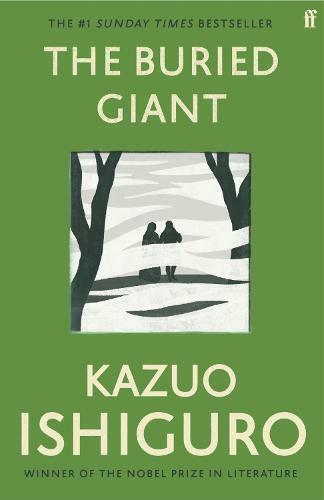 Recipient of the 2017 Nobel Prize in Literature, British author Kazuo Ishiguro’s writing career began with 1982’s acclaimed novel A Pale View of Hills. His third book, 1989’s The Remains of the Day, firmly secured his reputation, winning the Booker Prize. His other acclaimed books include: When We Were Orphans, An Artist of the Floating World, Never Let Me Go and The Buried Giant. The characters are interesting and the descriptive writing in places is powerful.